2019 Library Presentations: "Success With Succulents"
Annual Plant Sale - June 1, 9:00 a.m. - 1:00 p.m.
Master Gardeners prepare, plant and maintain community gardens at which educational programs are conducted; and provide support at community gardens in the OSU Extension Community Gardening Program. Horticultural Therapy programs conducted by Master Gardeners at hospitals, retirement homes or other institutions. 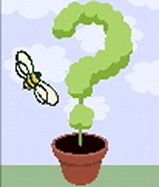 Master Gardeners are available to answer individuals' horticultural questions. for becoming a Master Gardener. 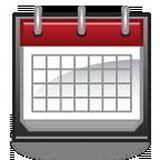 Master Gardeners of Cuyahoga County, Inc. (MGCC) controls and is solely responsibie for this web site and its contents. MGCC is an Ohio not-for-profit Ohio corporation organized as a I.R.C. 501(c)(3) educational charitable entity, the members of which are Master Gardener Volunteers in the Master Gardener Program of The Ohio State University Extension. Click to donate.